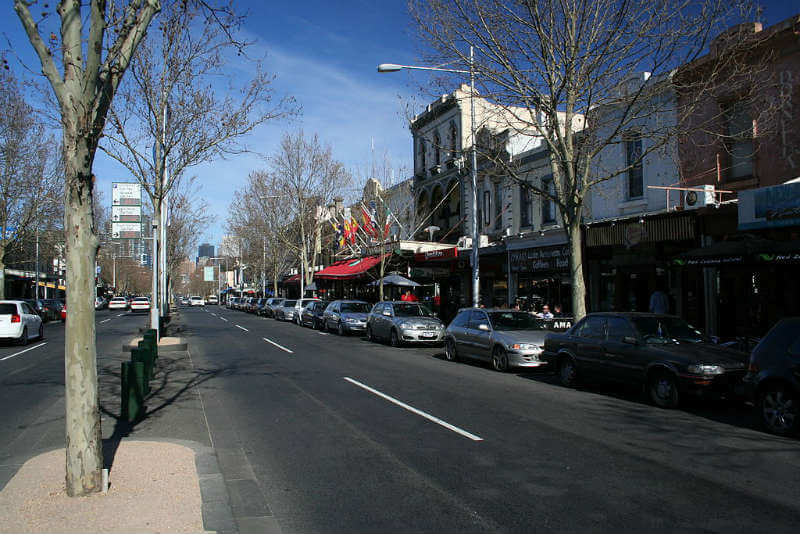 Carlton is an inner city suburb to the north-east of the city of Melbourne, Victoria, Australia. It was founded in 1851, at the beginning of the Victorian Gold Rush. Its boundaries are roughly Elizabeth Street to the West, Princes Street to the North, Victoria Street to the south, and Nicholson Street to the East. The suburb is probably best known for its "Little Italy", Lygon Street, for its Victorian architecture and its parks and gardens including World Heritage site of the Royal Exhibition Building.